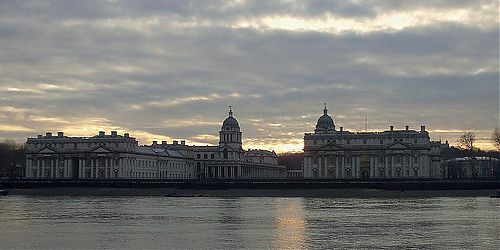 During the 11th to the 16th of August the TDP Summer Season of fieldwork rolled majestically onto the foreshore beneath the equally splendid buildings of the Old Royal Naval College at Greenwich. As ever, we had a good turnout of keen and enthusiastic FROG members. We also had a constant flow of intrigued onlookers from the general public, who were able to quiz the equally keen and enthusiastic FROG volunteers who manned our information stall, as to what was taking place below. Thanks to everyone who came along and made the week such a success. 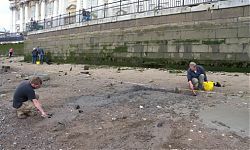 This stretch of foreshore had been previously recorded as part of the Thames Archaeological Survey and an early timber jetty structure, possibly associated with Henry VIII’s palace of Placentia, had been observed. 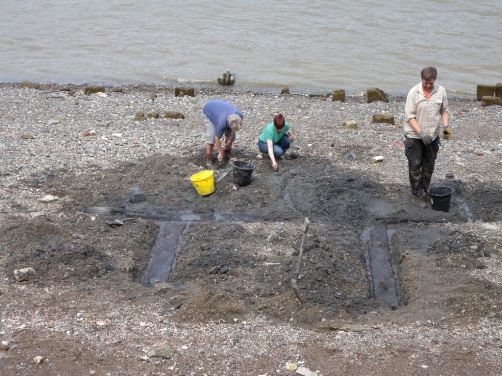 When we first scouted the site earlier this year, we saw no evidence of what had been recorded by the TAS, but we did see a large number of previously unseen timbers higher up the foreshore but broadly in the same area. 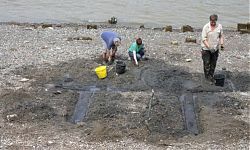 Clearly, the timbers recorded previously had been either washed away or covered up, and erosion of the higher foreshore had revealed further possible elements of the structure. After cleaning (see image to the left), it became apparent that there were probably at least two phases of structure, both predating the existing 17th century river wall. A series of driven stakes and piles were similar in form to those previously recorded and may represent part of the same structure, while there were also a number of base-plates with mortises which would appear to represent a different form and phase of riverfront structure. Further analysis of the drawn plans and comparison with the TAS data may hopefully tease out more information about the form and possible uses of these structures. 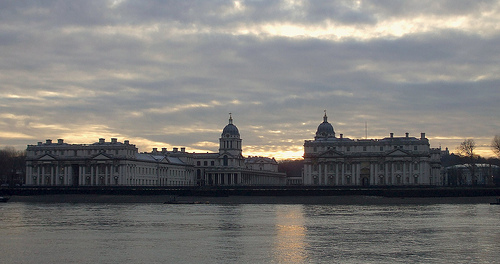 One thing we had noticed during our reconnaissance missions and site visits over the course of the year was that the foreshore at Greenwich is extremely dynamic, sometimes even varying from day to day. This would explain how the biggest surprise of the fieldwork was only revealed on the last but one day of the site. One day earlier in the year we had noticed an intriguing timber just visible poking out of the sand. Luckily the team from MoLA Geomatics were on hand to plot its position as subsequently, hard as we looked, we could not see it until they came back down and drew a big X for us to gently trowel. This small bit of timber turned into a broadly ‘u’ shaped structure comprising three large timbers and a number of smaller ones covering an area of roughly 6m by 5m. The timbers showed evidence of a construction technique which could date back as far as the late 12th/early 13th century (see image above). Needless to say, we will be back to do further work on this feature as, on the last day, we were still frantically recording as the incoming tide washed round our boots. 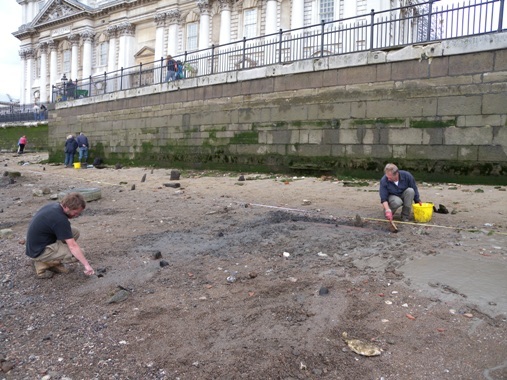 Foreshore archaeology at its finest!